David Ash, psychic investigator, is invited to Edbrook, a remote country house where an alleged haunting is taking place. Ash is a sort of professional sceptic; he doesn't exactly disbelieve in ghosts, he's just not convinced that ghosts are what they seem to be. At Edbrook he soon finds plenty to investigate. The house is occupied by a seriously weird family, two brothers, a sister, and the inevitable devoted housekeeper. But who else has taken up tenancy? There's a dilapidated family mausoleum in the grounds, a stagnant fountain which seems to hide a family secret, and a temperamental doberman to keep Ash on his toes. Here, Herbert has steered clear of more visceral horrors in favour of mood, and the book has a pleasantly creepy feel. One of the most effective moments comes quite early on in the story when Ash looks out of a window to see the brothers playing a strange game of hide and seek in the grounds with someone whose face is not seen. But later, the whole things starts degenerating into rock video level chills (you just know that when the driver of the old car turns her head you're going to see something... well, something pretty bloody corny, actually). 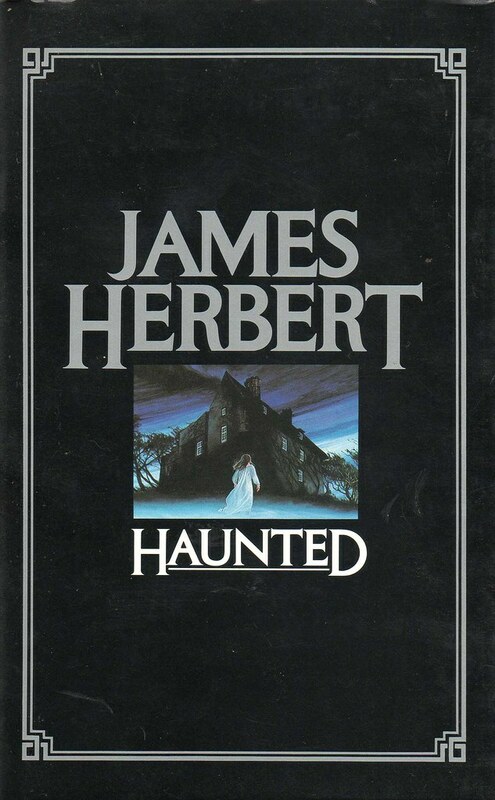 It's not a bad book, a fair attempt to write a traditional English ghost story; unfortunately, as with most of his books, Herbert seems to lose interest near the end. If you want a really frightening haunted house story you'd be better off reading Shirley Jackson's The Haunting of Hill House, or Susan Hill's very frightening The Woman in Black.But Herbert's book is entertaining provided you're not expecting classic material. Both hardback and paperback editions feature the same quite effective cover painting and interior decorations, not credited but possibly the work of Gerald Grace, who painted the covers for many of Herbert's novels around this period.